Occupational Therapists (OTs) work with people of all abilities and all ages to do the things they want to and need to do through the use of therapeutic activities and equipment. Sensory needs including developing a 'sensory diet'. 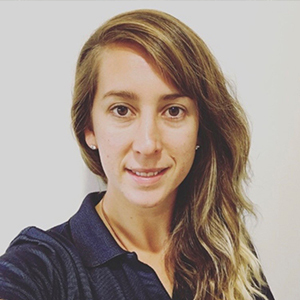 Molly completed her Bachelor of Science in Occupational Therapy at Curtin University in 2009, and began working in the field of Autism as an Education Assistant whilst studying in 2007. She is currently completing a Graduate Certificate in Behaviour Management at Edith Cowan University. Molly delivered intensive applied behavioural analysis (ABA) therapy in a leading Perth intervention centre for 2½ years, rising to Case Manager. She began with Rockingham Autism Services in 2012 as an Occupational Therapist, and her role involved Initial Skill Assessment, Program Development and Execution as well as review of programs. Molly is passionate about making a difference to all families and recently relocated to Tom Price to work with families and children with special needs in the Pilbara. Molly loves to travel and spent two years exploring Australia in a van. In her spare time, she loves to go camping, playing guitar and drawing.